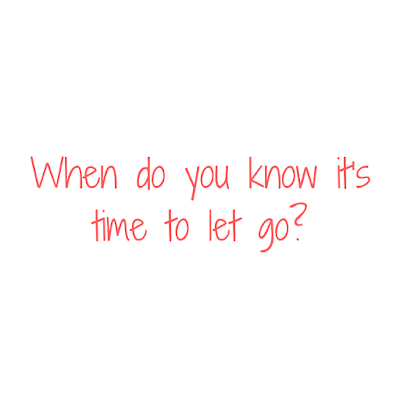 Embrace the Journey Wisdom: When do you know it's time to let go? We, humans, make letting go too complicated. We're told that life is hard and anything worth having you must fight for. We rely on what we can see (the physical world) rather than our connection to Source Energy. We expect too much from other humans walking the same journey as us; we feel betrayed and disappointed when people don't live up to those expectations. We let insignificant hiccups (typical life challenges experienced by all) turn into big problems that require outside counsel. We get trapped in our own way of thinking, doing, and being; we hesitate to change. We get accustomed to what has always been and doubt what might be. We acknowledge the pain and struggle of living and forget to acknowledge the miracle of Life itself. We easily lose sight of what is possible when what is current feels heavy and insurmountable. We look outward for answers when the truth resides within each of us. We say there is no such thing as a stupid question, and yet we'll call ourselves stupid when we ask questions that could've been answered internally had we pondered thoughtfully and thoroughly. We cling to old situations, people, places, and sentiments that no longer serve who we are today. We resist and persist because we think we have to or feel guilty about choosing our sanity over someone else's hurt feelings. We ask "the experts" how to let go when the answer is fundamentally simple: just let go. We say, "I guess I know how to let go, but..."
It's time to let go when you can't stop thinking about what life would be like if you did let go. It's time to let go when you're ready, called or forced to give up hope that something will change even though your actions have not. It's time to let go when the pain of the past prevents progress in the present. It's time to let go when you have no desire to "stick it out" or "fake it 'til you make it" any longer. There's a season for everything, and it's time to let go when it's time to let go. We, humans, needn't worry about time. 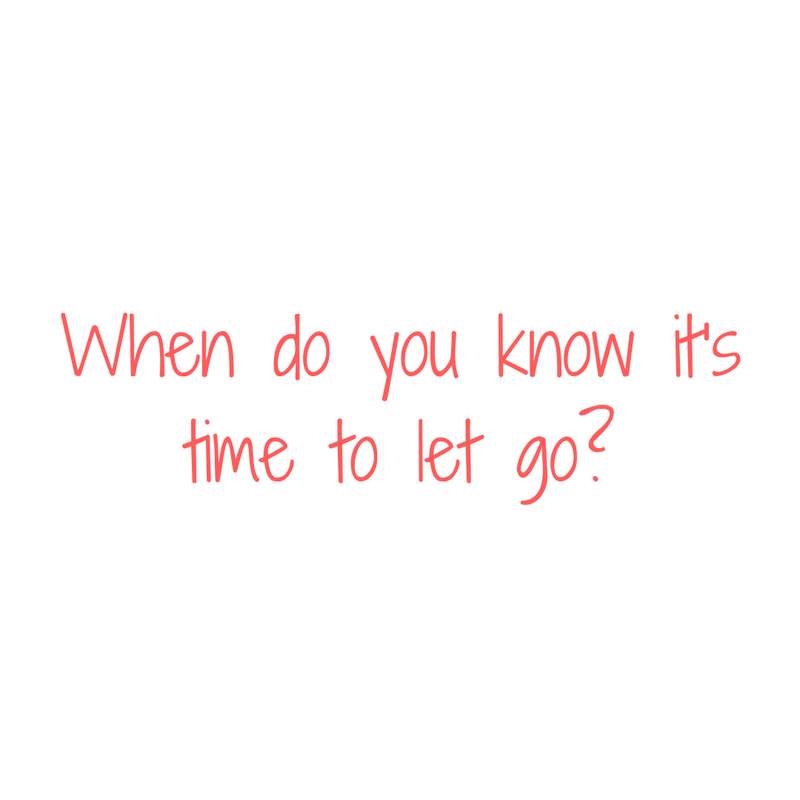 When to let go is not the right question. Remember this: the better the question, the better the outcome. Will I ever decide to trust myself, do what feels right for me and finally just let go? Today, I let go of that which I don't know I need to let go. Today, I let go of the idea that letting go has to be complicated. Today, I let go of the hope that anything in my past could've been different.